Masselyd (mass[ive] sound) was initiated by Ny Musikk in cooperation with NODE and ran for two days in November 2006. 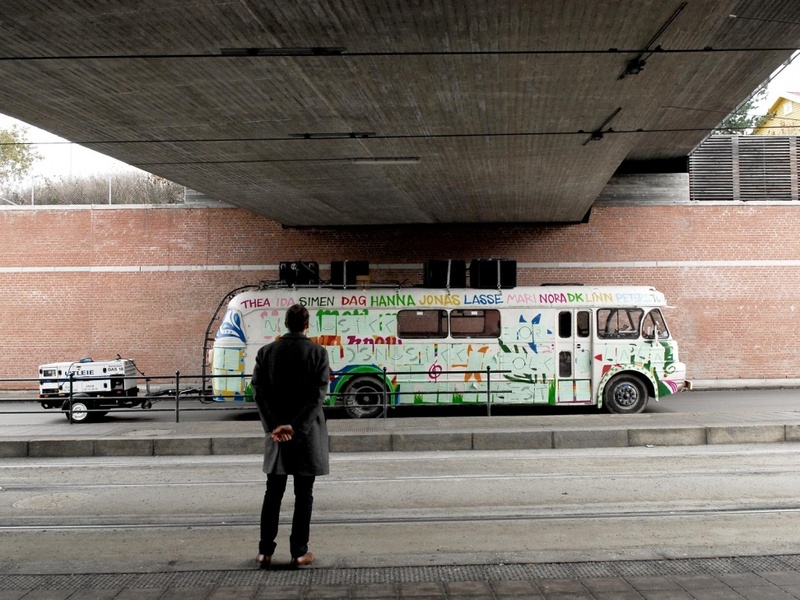 A vintage bus with a massive speaker system mounted on the roof was driven around Oslo city centre playing contemporary music for the masses, ranging from Kurt Schwitters and Alvin Lucier to new and unpublished pieces by Norwegian contemporary composers. The idea for this project came about as we were working with Jean Sébastien Ides on the Ikkelyd (No Sound) project. Ny Musikk fronts radical, experimental and genre crossing music in Norway. The project can be seen as an attempt to apply the strategy of marching brass bands to contemporary music. Instead of the audience coming to see a concert, the music circulates outwards to the audience. The concept also relates to the Norwegian ‘Russ’ celebration, something students do upon completing their baccalaureate/A-levels. It is common for the ‘Russ’ to have similar busses with sound systems playing party music circulating during the month of May. 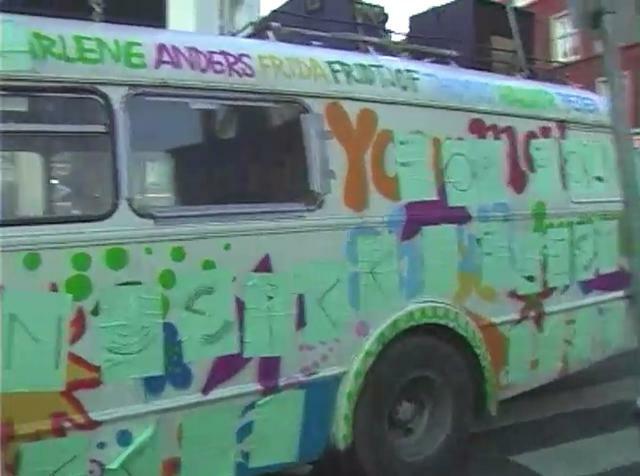 The bus used was one such ‘Russ’ bus covered with posters by Ny Musikk. The project tested the limits of acceptable sound in a public space and the reactions to it. The police stopped the project by the end of the second day after the bus had played for about half an hour in front of the Norwegian parliament. The documentary video from the project was shown at the exhibition Ikkelyd/Masselyd at Sound of Mu, Oslo and later at Tekstallianse 2008, Litteraturhuset, Oslo.